From the earliest records, Elizabeth (Sweeney) O’Malley, is listed as the widow of John O’Malley. 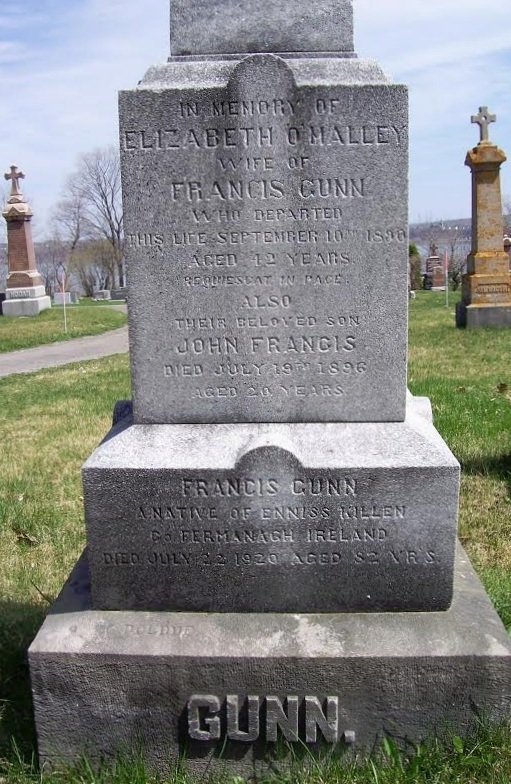 She arrived in Quebec City in 1831 with her son John and her recently born daughter Julia. In those early years, I found that John the son signed church records with various spellings ie. : O’Mealy, O’Malia, etc.... 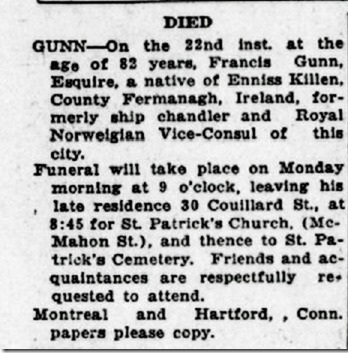 The obituary of Elizabeth Sweeney lists her as being a native of Westport, Co. Mayo, which I presume was the place of origin of John O’Malley her husband.